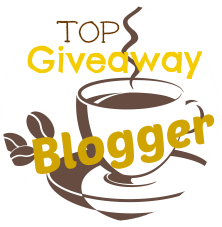 Couponing Momma Giveaways & Reviews: Get a free domain plus a year of web hosting for just $1 through Swagbucks! Get a free domain plus a year of web hosting for just $1 through Swagbucks! Swagbucks (the online rewards site that puts cash back in your wallet) has an AMAZING offer through Bluehost where you get 3500 SB (which is the equivalent of $35 in gift cards) for signing up. 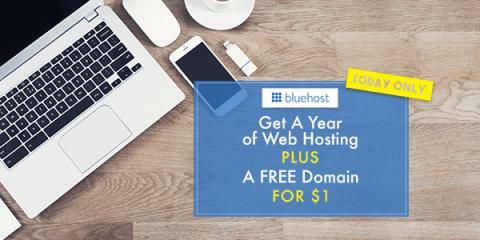 Bluehost is a leading web solutions services provider. You can try it out for 12 months at a special discounted price of $2.95/mo AND get a free domain in addition to 3500 SB by using this link before Friday, October 14th - that means you get everything for just $1! It's the perfect opportunity if you need to make a host change to your website or if you've been thinking about starting a website or blog. Haven't tried Swagbucks yet? This is a great way to do it, and when you sign up through the link above and get your 3500 SB, you'll get a bonus 300 SB at the beginning of November. So that's $35 for trying Bluehost, which gets you 3800 SB, which you can turn into $38 worth of gift cards!